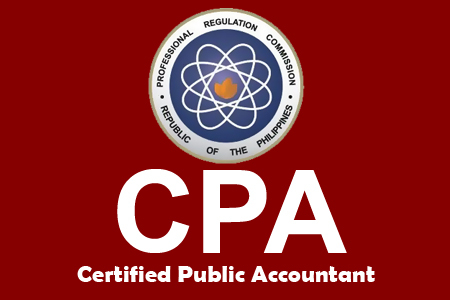 Professional Regulation Commission (PRC) officially announced the Certified Public Accountants (C.P.A) board exam results for the month of October 2012. A total of 4,772 passers out of 9,987 examinees who passed the Certified Public Accountant Licensure Examination. CPA board exam held in the cities of Manila, Baguio, Cagayan de Oro, Cebu, Davao, Iloilo & Legazpi as the board of Accountancy stated. The CPA complete list of passers, top 10 passers, top performing schools and performance of schools are now posted here and in the PRC official site. PRC said, "The results were released in one (1) working day after the last day of examination." In order to remember this important info, just hit your keyboard key (Ctrl + D) to bookmark this page and keep visit more often to get the latest updates about the CPA Board Exam Results October 2012. Comments or suggestions about "October 2012 CPA Board Exam Results" is important to us, you may share it by using the comment box below.